He attended several presentations including Dr. Jonathan Ng's talk on "Innovation with digital technologies – Utilizing the integrated treatment workflow for shorter time-to-teeth with NobelClinician"
Recent advances in the scanning workflow now allow access to the latest innovations to reduce the patient’s treatment time to restoration. The integration of digital treatment planning tools is changing the options for immediate provisionalization to restore a patient’s function and confidence. New restorative-driven solutions and updated protocols for immediate provisionalization will be discussed. Dr. Duello enjoyed this talk, as it is a subject that he has been lecturing on for the last year. Dr. Duello said, "It's always nice to have the prospective of a younger professional, especially on a subject that I've been speaking about. It helps me stay relevant and definitely keeps me on my toes." 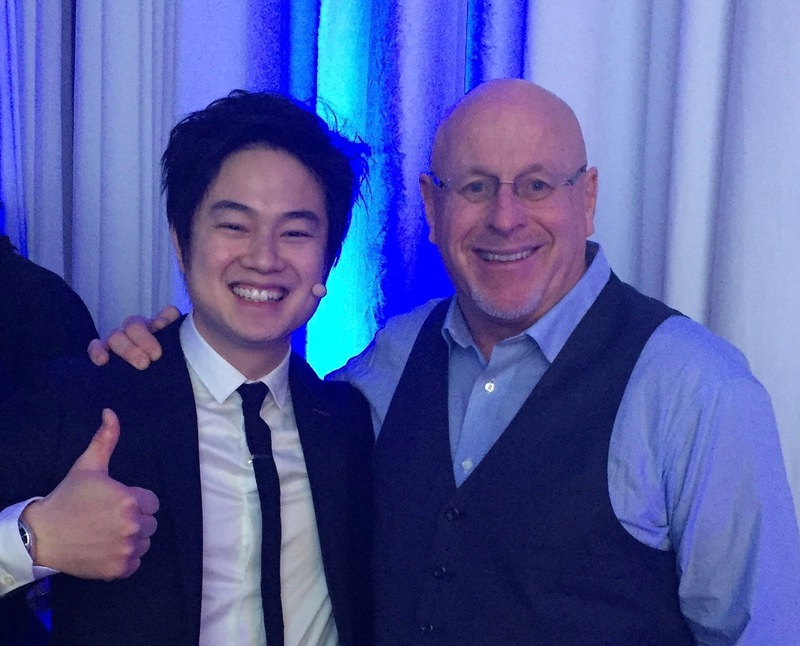 He also attended the American Academy of Prosthodontics presentation at the Midwinter meeting. Now the fun part of attending the meeting is going through the exhibit hall, meeting with the manufacturer reps and discussing therapies and new technologies with colleagues. Dr. Duello said, "It's just a great atmosphere for networking and getting re-energized." National Children’s Dental Health Month began in Cleveland as a one-day event on Feb. 3, 1941, then expanded to a week-long event in 1955. The current month-long version of National Children’s Dental Health Month debuted in 1981. Local observances include colorful American Dental Association posters, coloring and essay contests, health fairs, free dental screenings, museum exhibits, classroom presentations by dentists, and dental office tours. The goal of National Children’s Dental Health Month is to raise awareness about the importance of oral health. Developing good habits at an early age and scheduling regular dental visits help children get a good start on a lifetime of healthy teeth and gums. “Choose Tap Water for a Sparkling Smile” Tap water provides a controlled level of fluoride that isn't found in bottled water. This insures that your children's teeth will develop with the correct amount of fluoride to strengthen the enamel. 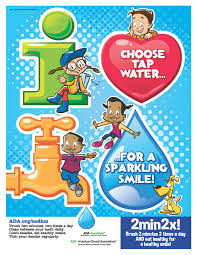 In this way fluoride helps prevent tooth decay by systemically building it into the developing tooth. Toothpaste delivers fluoride topically, which is uptakes into the enamel surface. Take a look at some of these children’s dental health statistics, is there at least one dental fact in there you might not have known? Share with your social dental circles! 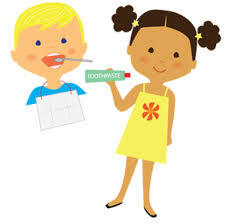 – Childhood tooth decay is 5 times more common than asthma and 7 times more common than hay fever. – Gum disease is contagious, parents can transfer the bacteria in saliva to our kids by sharing spoons. – According to the Academy of General Dentistry, more than 51 million school hours are lost each year due to dental-related illnesses. – Almost 50% of tooth decay remains untreated in low-income children, according to the Centers for Disease Control and Prevention (CDC). 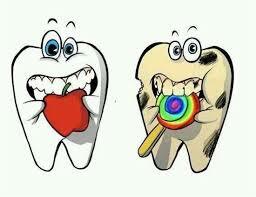 – Tooth decay affects more than one-fourth of U.S. children aged 2–5 years and half of those aged 12–15 years. – According to this recent CBS News article, children in the Los Angeles School District who had tooth pain were 4x more likely to have a grade point average below the median GPA of 2.8. Despite these seemingly staggering dental health statistics, many children still do not visit the dentist. It’s not their fault, parents need to make dental health for children a priority…not video games! 1. Brush for two minutes, 2 times per day…with our kids. 2. 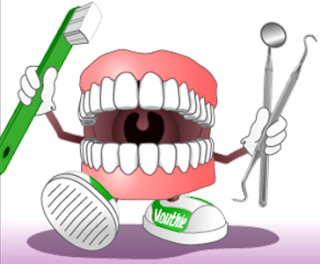 Show them how to clean between teeth…FLOSS! 3. Limit sugary snacks & drinks between meals, eat healthy. 4. See the dentist regularly for family checkups, and ask them about sealants & fluoride. 5. Establish good dental hygiene habits early. When your child is 12 months old, you can begin using toothpaste when brushing his or her teeth. 6. When the gaps between children’s teeth close, it’s important to start flossing. 7. Serve as a good role model by practicing good dental hygiene habits ourselves. 8. Check our child’s mouth for the signs of periodontal disease, including bleeding gums, swollen and bright red gums, gums that are receding away from the teeth and bad breath. Good Food, Healthy Body and a Healthy Mouth! FOOD CHOICES FOR A HEALTHY YOU!